Capitol Land Trust Awarded $4,000 Community Foundation Grant! We are excited to announce that Capitol Land Trust has been awarded a $4,000 grant from the Community Foundation of South Puget Sound. This grant will help build the land trust’s new strategic goal to connect people with the land. Capitol Land Trust is working on new outreach and education programs, such as the new Outdoor Exploration Series which will engage and educate CLT members and the community about habitats and wildlife on CLT’s properties (please stay tuned for more details). The grant will also allow us to host Shelton middle school students at our Bayshore Preserve to conduct science experiments and monitor the effectiveness of our restoration projects as part of the Pacific Education Institute’s Shelton FieldSTEM Initiative. 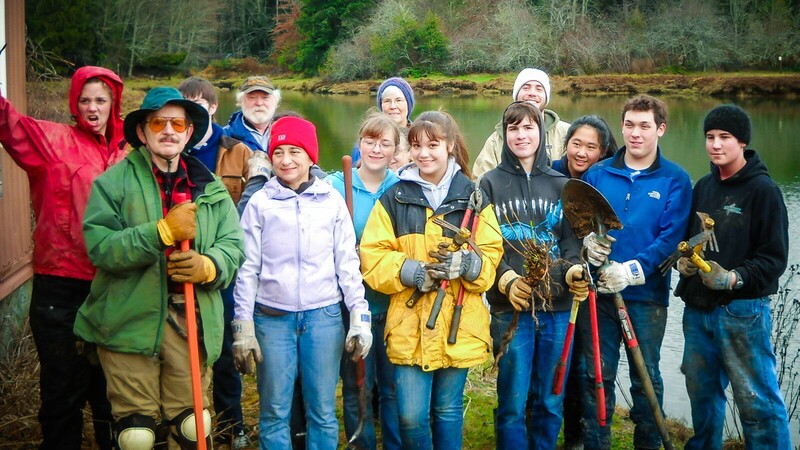 Thank you Community Foundation of South Puget Sound for supporting Capitol Land Trust! To learn more about the Community Foundation click here.